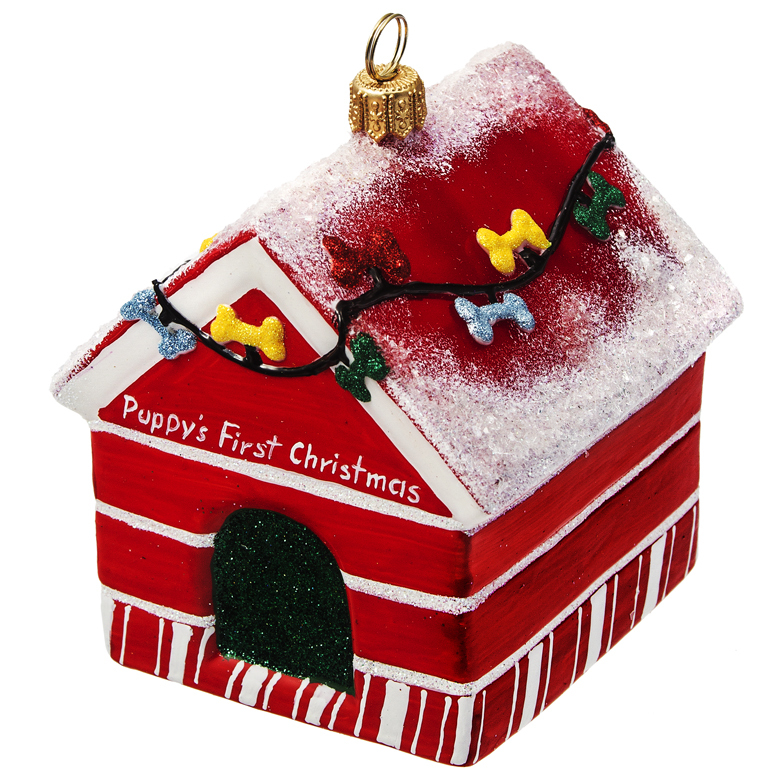 Puppy's First Christmas Dog House Ornament - new for 2016. The Puppy's First Christmas Dog House Ornament is a great way to honor that first Christmas you share with your fur baby! The Puppy's First Christmas Dog House Ornament is a European made ornament - hand made by artists who first create a mold for the ornament, then the glass is blown and hand painted. The ornament measures approximately 4 inches - such a fabulous ornament for the dog lover! The detail in this ornament is simply beautiful!